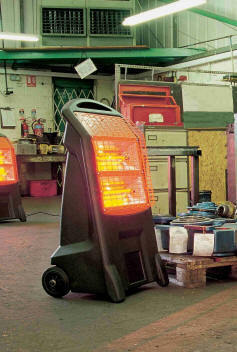 Either way, our range of heaters will give you a perfect solution. 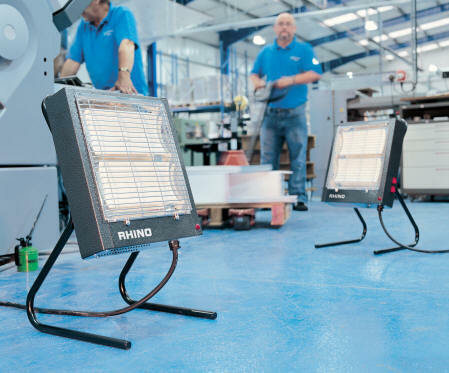 The Rhino TQ3 is a very versatile 2.8kW mobile radiant heater housing two 1.4kW infra-red emitters which have the ability to heat your workers directly without having to first heat the air. 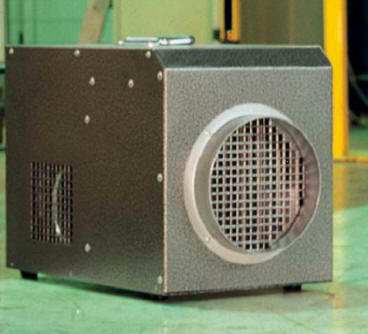 Our range of fan heaters represent a more traditional approach of heating and heat the air within the building whilst creating a gentle airflow. 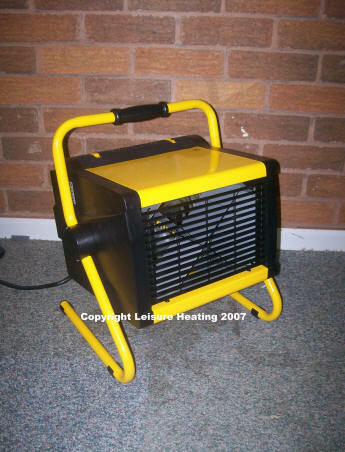 This heater represents a highly efficient, economical way of warming people directly without the need to heat the air first. Very fast thermal response similar to a light bulb, providing instant heat. Individual elements can be selected with separate switches. Simple, extremely energy efficient and flexible. Fully mobile- can be pushed on its wheels to where the heat is required. 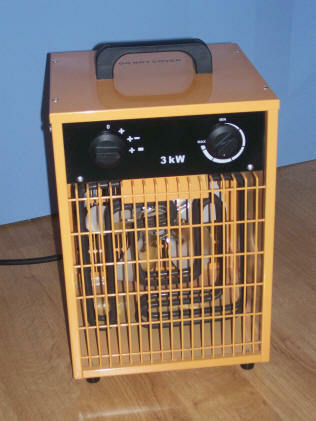 Safe – tilt mechanism automatically switches off the heater if it is knocked over. 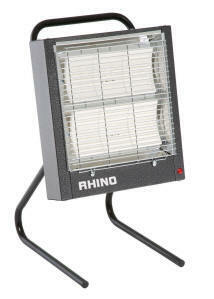 The Rhino Junior utilises a slightly different infra-red heating technique. The two ceramic emitters radiate at 'long wave' infra-red, giving a more gentle over-all heating effect. The effect is dramatic and is ideal for localised heating. The emitters give off no visible light making the product ideal for offices, shops and where industrial finishing is taking place. The maximum output of the Rhino Junior heater is an impressive 3kW and can be turned to half power at the click of a switch. Fully mobile- can easily be moved to where the heat is required. The Dimplex 3kW fan heater has high efficiency incolloy elements delivering over 430 cubic metres of heated air per hour. 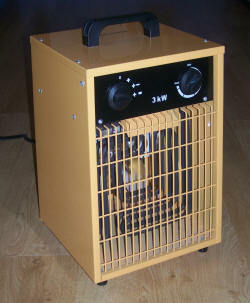 This 3kW Fan Heater is a high output hot air blower. 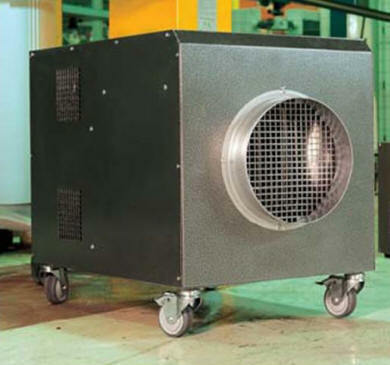 The high efficiency incolloy elements deliver 430 cubic metres of heated air per hour. If you need to heat the whole space rather than individual workstations then this is ideal. The Rhino FH13 is designed to deliver large volumes of heat from its highly efficient incolloy elements. The FH13’s tough steel construction means that it can withstand the rigours of site conditions. As the FH13 is fully stackable, units can be stored with ease. 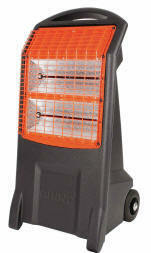 The Rhino FH18 is designed to deliver large volumes of heat from its highly efficient incolloy elements. The FH18’s tough steel construction means that it can withstand the rigours of site conditions. The unit features switching to give 9kW half heat, 18kW full & a fan only setting. As the FH18 is fully stackable, units can be stored with ease.